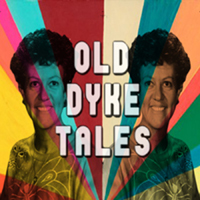 Weaving together verbatim perspectives of four generations, Old Dyke Tales tells the real-life story of a matriarch who dared to set aside the societal and religious conventions of 1970s Catholic suburbia to discover her sexuality and true self. This one-woman show explores the acceptance of lesbianism in families, in schools, in churches, in the passage of time and in oneself. The story of daughter, mother, grandmother and lover. As a queer woman myself a show entirely about lesbians can be disgusting, or enlightening. This was more than enlightening, it was funny, touching, and real. It is so important today in the young queer community to remember how far we’ve come, even in these last few decades, and that’s exactly what this show does. It’s the people like Maeve, the focus of the show, who allowed kids to be (more) open than she was. We are taken through her life in a series of monologues, scenes, and poetry so beautifully woven together that I barely had time to settle before moving on to the next scene. While sometimes it was a little difficult to tell when she switched characters, it was relatively easy to follow. Call me biased, but this is nothing less than a must see, especially for today’s gay youth.